Are your ears ready for the experience of a lifetime? Come and enjoy a concert unlike anything you’ve ever heard before when you see Roomful of Teeth at WMPAC. 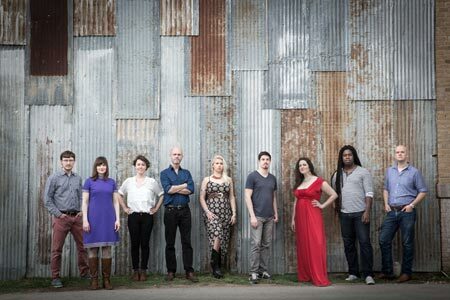 Roomful of Teeth is a Grammy-winning vocal group that will blow your mind. It’s absolutely incredible what this groundbreaking ensemble can do with only their voices. Roomful of Teeth - "Photo by Bonica Ayala"
Roomful of Teeth takes listeners on a musical adventure that explores what is possible with the human voice. The octet is currently blowing up. In 2013, the uber-talented voice of ensemble member Caroline Shaw became the youngest person to ever win the Pulitzer Prize For Music. 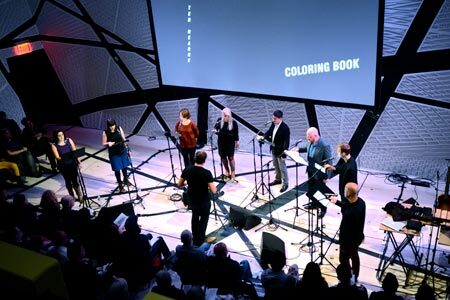 In 2014, Roomful of Teeth won a Grammy for Best Chamber Music/Small Ensemble Performance. The group has also produced two full length albums, worked on a music driven documentary film called The Colorado, and worked on numerous collaborations with big name stars. They tour the world enchanting audiences with their unique and magical sounds. We’re extremely lucky that one of their concert stops includes our mountain town - Big Sky, Montana. Roomful of Teeth - "Photo by Roomful of Teeth"
By utilizing unique singing techniques that truly push the boundaries of vocal studies and A Cappella, Roomful of Teeth delivers a performance that is completely jaw-dropping. While on stage, the group explores “Tuvan throat singing, yodeling, belting, Inuit throat singing, Korean P’ansori, Georgian singing, Sardinian cantu a tenore, Hindustani music and Persian classical singing.” They have captured the sounds of the world and combined them to create an international mix of vocal styles that truly represents the 21st century. It’s an eclectic sound that will definitely appeal to Big Sky’s diverse and adventurous community. Sometimes you just have to hear it to believe it though. Watch the following video or tune into SoundCloud to hear the latest from Roomful of Teeth. It’s likely that after you hear their music you’ll want to listen to their full length albums on repeat - or better yet, pick up a ticket and come to see a live show of Roomful of Teeth at WMPAC. According John Zirkle, the Artistic Director for the Warren Miller Performing Arts Center, Roomful of Teeth “represents something that’s actually new. It’s one of the most interesting acts that we’ve had at WMPAC to date.” Come down to WMPAC on January 7, 2017 and hear Roomful of Teeth for yourself. It’s a sound that you’ve never experienced before and that’s why this is a must-see show that everyone in Big Sky will enjoy. Big Sky’s cultural scene is growing rapidly and we’re all excited to see Roomful of Teeth in this season's WMPAC line up. Roomful of Teeth will be at WMPAC on Saturday, January 7, 2017. Doors open at 6:30pm and the show starts at 7:30pm. Tickets are on sale now at WarrenMillerPAC.org. Seats cost $39/$29/$14. Buy yours before this event is sold out.